Windows 10 : If you face windows 10 start menu problems, we have a solution for this issue. So many users are facing this problem. The Microsoft Windows 10 version is a good operating system. Windows 10 start menu issues are automatically repaired through windows update. You can manually rectify this problem by using a windows utility software. You can download the Microsoft Windows 10 Start button repairing utility software from here. 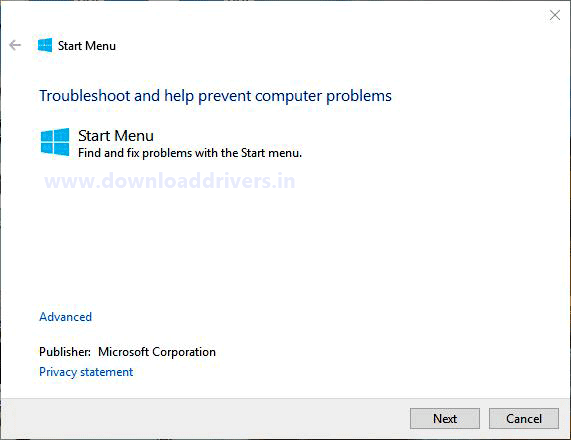 Users can be fix the Windows 10 start menu working issue by using repairing tool. You just follow the steps to rectify Windows start menu problems. First of all you could download the repair tool from this link. The Windows Start button troubleshooter program will automatically fix the start menu , Cortana and Edge browser loading issues. If you have the genuine version of Windows 10, you can fix the problems with Windows update. 0 Response to "(SOLVED) WINDOWS 10 START MENU PROBLEMS | REPAIRING TOOL"